Four years ago, I purchased a Viking Husqvarna Emerald sewing machine to start my quilting journey. This machine has served me well, but I have been looking into buying another sewing machine. I know the type of sewing machine one uses is a personal decision, based on different factors. My friend just purchased a Bernina 350. It works like a dream. Since this model is being replaced by another model, there are hardly any of this model to be found in my area. 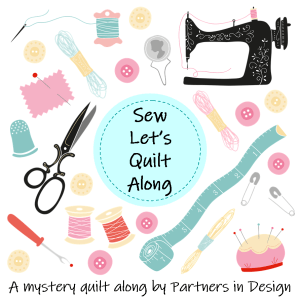 Today, I ran across a quilting shop near my son’s house in Round Rock…how convenient!!!!! I purchased some fabric, and then my attention went to their selection of sewing machines. They sell different models of Viking, Brother, and Juki. Debbie Wieber works in education and sales. We had spent a lot of time talking about a quilt I am planning. I mentioned that I was looking for a new sewing machine, and she introduced me to the Juki DX-1500QVP and the DX-2000QVP. She gave me a mini-lesson on how to use the models and I was so impressed with the ease and smoothness or these machines. There are more stitches available on these machines than I have on my Viking. I do not want one with lots of computerized bells and whistles, and these Juki models fit the bill. Also, the price on each is reasonable. Both models come with an extension table (which I do not presently have); walking foot, FMQ foot, and the basic sewing tools. I have been researching reviews on the Juki, and the results are positive. Many of the reviews mention that the Juki is great for FMQ, which is an area in which I want to improve. I was just wondering if any of you have had experience with the Juki or know of anyone who recommends the Juki. During the summer months, it is difficult for my Meemaw friends to meet. We are all involved with granny duty and family trips and events. The four of us finally were able to meet today. Of course, we started out with lunch. We took our calendars to plan our fall walks, trips, and craft days. Then we went to the Witte Museum to see the Portraits in Courage exhibit. I must say I was skeptical about what to expect, since I had seen the earlier art produced by George Bush. It turns out that visiting the exhibit was a deeply moving experience. I do believe GWB captured the essence of these service members and warriors. There was something about the eyes in these portraits that made me feel the presence of the individuals. The museum allowed photos, so I thought I would share. We also visited the Confluence and Culture Exhibit, which celebrates the 300 year history of San Antonio. There was quilt on display. It was made by Maria Antonia Ruiz Herrera, who was the daughter of Jose Francisco Ruiz and Blas Maria Herrera. This was a prominent Tejano family during the battle for independence from Mexico. The time period for this quilt was 1870-1880. The minute stitches were even and precise. The needle turn applique was perfect. One of my friends went into the museum gift shop to purchase some silver charms of the San Antonio Missions. I walked in with her, only to look… but this angel caught my eye. This angel is part of a series named Chulada. It was made in Mexico. I just love the colors, the shape, the face…everything! My mother used to call my grandmother, La Chula… the pretty one…so I just had to have this. I have been trying to design a colorful, cultural quilt. La Chulada just might be the inspiration I need. Since we were in Brackenridge Park, we stopped by the Conservancy Office to visit with Lynn Osborne Bobbit, the executive director. The office was closed, but we could see the quilt that we made for the Conservancy hanging on the wall. It felt so good to see it displayed. This was us when we delivered the quilt to Lynne earlier this year. Michelle, at Creative Blonde posted a great pattern for making a reading pouch and book mark. When I was with my granddaughter, I had her pick out fat quarters for a secret project I would be making her. She chose two different owl fabrics and two linings. I followed the instructions and made one bag according to the measurements given for a book. My granddaughter loves to read, so this will be perfect. At her Meet the Teacher Night, I was happy to hear that the teacher will be focusing on writing. This was music to my ears! My granddaughter also loves to write stories. So, I adapted the measurements to make a pouch to hold a composition book. It will also hold a story starter flip book. Thank you, Michelle, for such a great pattern. I ordered Dog Diaries by Betsy Byers to place in the beige owl book bag. A composition book fits perfectly inside this bag, along with a Magic Writing Pencil. This is the Story Starter flip book I ordered. When I was planning for my two weeks with my granddaughter, I made the decision to leave my sewing machine at home. Even though she has expressed an interest in sewing, and we have done some projects on the machine together, I just didn’t want to lug one more thing. As it is, I packed eight bags. Most of the bags were filled with craft and art stuff. I found out that my son and his wife had a bet to see who could guess how many bags I was bringing! We have been pretty busy having fun without the sewing machine. Thanks to my friend, Nancy, we had a swim afternoon with our grandchildren. My granddaughter enjoys being with Nancy’s grandson because she says he makes her laugh. We have gotten together before, and they do seem to enjoy each other’s company. Today, my Meemaw friend drove up with her granddaughter, who is the same age as my granddaughter. This was the first time they met, and they are already making plans to meet again. We visited the Meadow Center in San Marcos, Texas. Both girls are nature nerds like their grandmothers. The four of us were excited to see turtles, egrets, humming birds, snakes, tadpoles, frogs, butterflies, and hawks. These are just a few of the animals we saw on our hike. The glass bottom boat ride was delightful. We got to see the Edwards Aquifer springs in action. Our morning ended at the In and Out Burger, with a plan to meet again soon. I appreciate my friends helping me out during these two weeks with my granddaughter. It feels so good to see our grandchildren becoming friends also. Today was set aside for BTS and grocery shopping. My granddaughter and I made a menu and a grocery list to plan for the rest of our time together. Tonight will be Mac N’ Cheese Movie Night. It was so much fun going BTS clothes shopping with her. She picked out some cute dresses. She chose a long sleeve dress with a hoodie in order to be ready for when it gets cool. I am looking for tutorials on how to make decorated head bands. We bought one that has a pretty bow, and it looks like it would be simple to make. I am thinking of the unfinished projects I have waiting for me at home, and I am wondering why I am adding more! We went to the B&B Quilt Shop , which is conveniently across the street from the library. I let her choose some fat quarters. We will be making some book bags and bookmarks that Michelle posted on her Creative Blonde Blog. I also found a quilting magazine for my reading pleasure. I love how my granddaughter appreciates beautiful fabric! There is a new library in town, so we went to check it out. Tomorrow will be another scorcher of a day, so we probably will just make it a craft day. They are keeping me company as I write this post. I also wanted to post a photo of a mermaid blanket that my daughter-in-law made for my granddaughter. Aunt Shenika is an artistic and talented seamstress and crafter. You know, I have three, pretty awesome, daughter-in-laws! My granddaughter says this mermaid blanket is super comfy. We are ready to start our new day with a bit of BTS clothes shopping, followed by a trip to the library. Then, who knows what we’ll do next! In July of 2009, I was diagnosed with breast cancer. I underwent surgery and radiation. Since then, August has become the month that I begin my Wellness Tour where I visit all my doctors. The block for this week commerates nine years.